My Spark Core modules arrived a week or so ago. 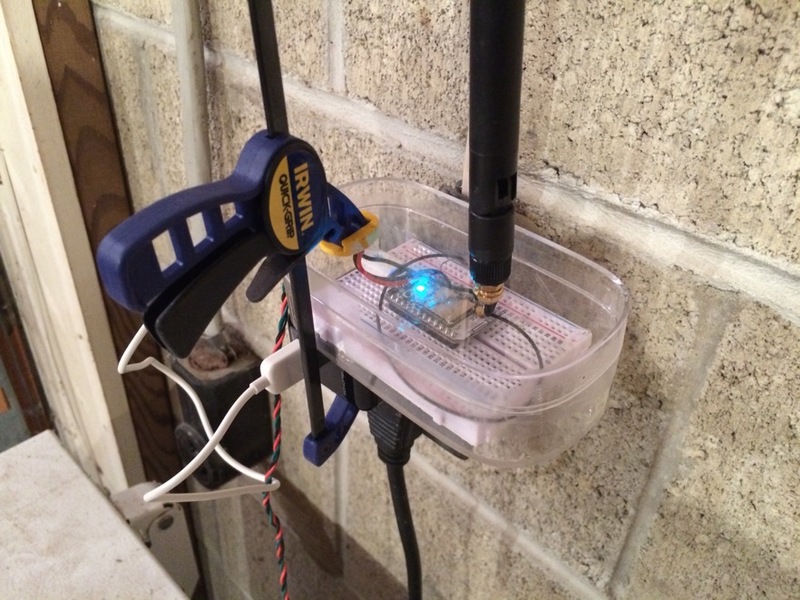 I got one with a chip antenna and one with a u.FL connector, because I plan to use it in a building that’s too far from my router for the chip antenna to work. I also picked up a battery board and relay board, although I don’t have specific projects in mind for either. 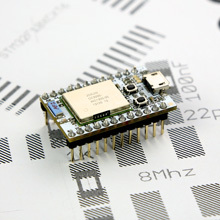 The Spark Core contains an STM32F103 microcontroller (ARM Cortex M3) paired with a TI CC300 WiFi module. An iPhone app lets you easily gets your cores onto your network. They come with a bootloader that supports reflashing over WiFi. 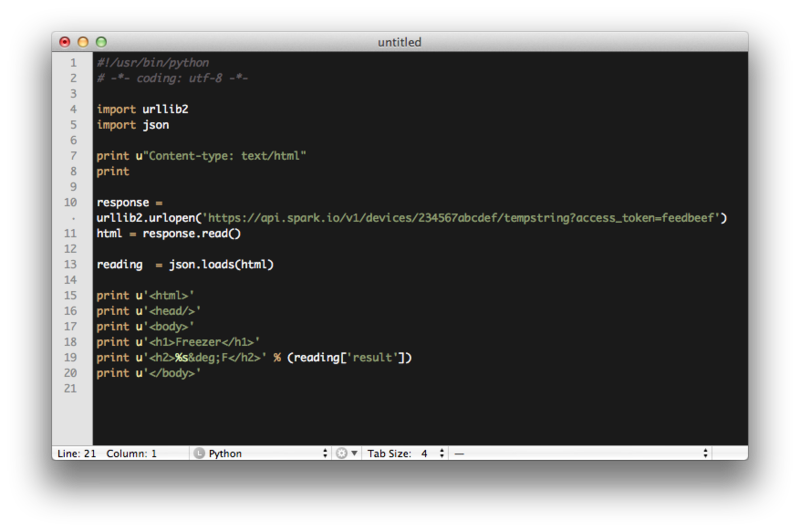 In fact Spark even provides an IDE that allows you to edit code and flash it to any of your modules from the comfort of your favourite browser. 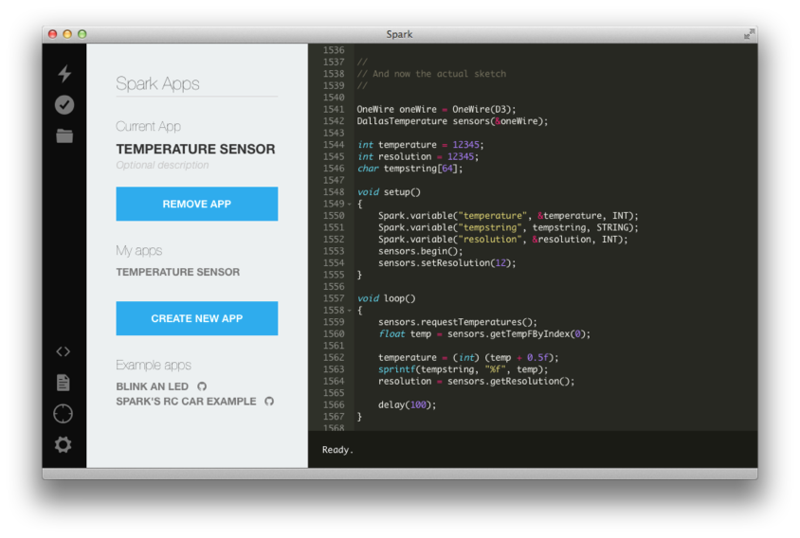 Spark have made the Spark Core as compatible with Arduino as they can, so many Arduino libraries should work providing they aren’t doing anything AVR-specific, although currently the IDE doesn’t support multiple files so you’ll need to copy-paste the library code. Despite the single-file limitation, which they’re working on, the IDE is pretty nice: it even supports some Emacs key bindings. The IDE also allows you to expose variables from the Spark Core; these variables can be accessed via a REST API on Spark’s servers, which mean you don’t need to configure tunneling or DynDNS for your cores. I already had a Maxim DS18B20 1-Wire digital thermometer chip lying around, and it took just a few minutes to get that temperature sensor working thanks to Miles Burton’s Dallas Temperature Control Library for Arduino. The non-library part of the sketch is shown above. It registers an integer variable called temperature in setup(), which is then populated each time around in loop().